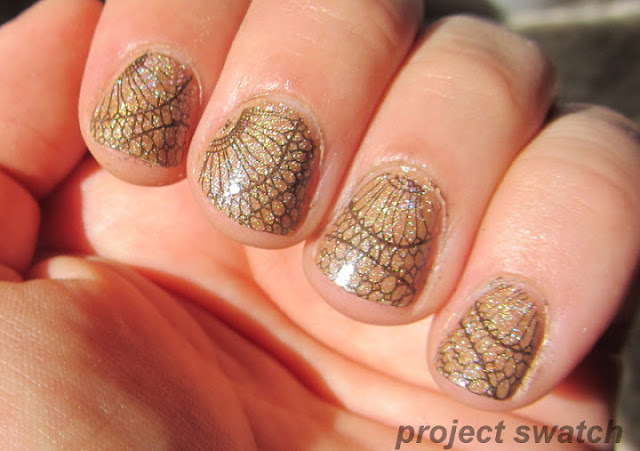 Welcome to Day 3 of Reader Nail Art Week! 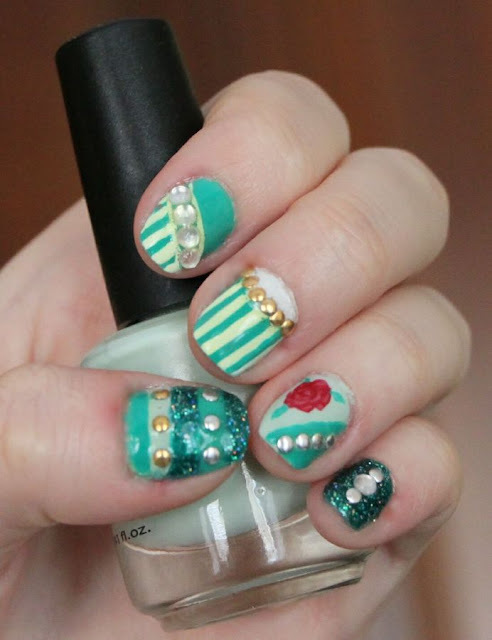 Keep those submissions coming to thedailynailcontest@gmail.com!! The inspiration for this design was my favourite Disney movie growing up, The Little Mermaid. I was inspired by all the awesome tattoo's of dandelion's blowing in the wind and I decided to replicate that look on my nails. 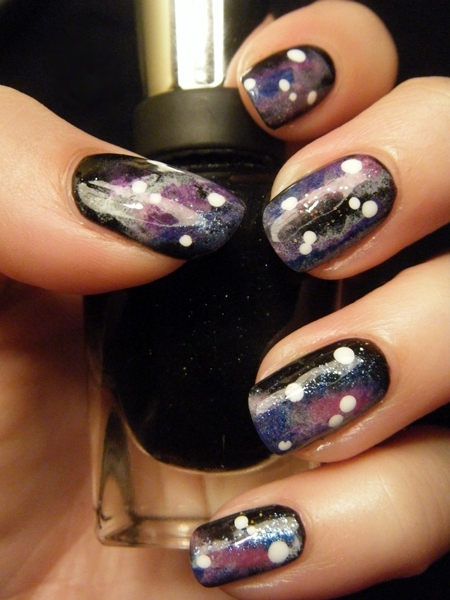 I used a skinny stripper brush with black nail polish and got to work painting my nails. This was inspired by a request on her blog. I was inspired by my favorite childhood book, The Giving Tree, for my nail art - I'm in love with the way it turned out! As soon as I received China Glaze's Electropop Collection, I knew I had to go crazy with the colors: here I'm using China Glaze's Gaga for Green as the base. All hand painted, no acrylic paint used. Thanks and hope you enjoy! 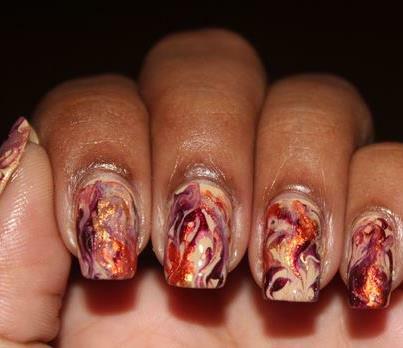 It's a dry water marble using gorgeous fall inspired colors. This was my Inspired by color nail art challenge design. 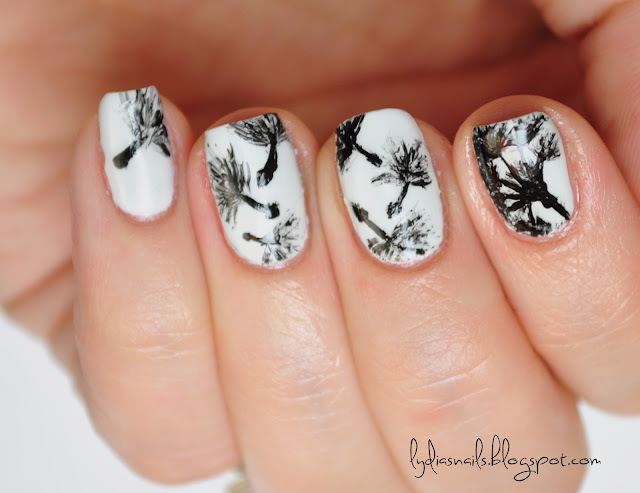 This manicure was my attempt to make up for the lack of sunshine in the UK this summer! This came to me when I was watching Alice in Wonderland! It's a simple drag marble using blood red and white nail polish. Creme over OPI DS Classic. 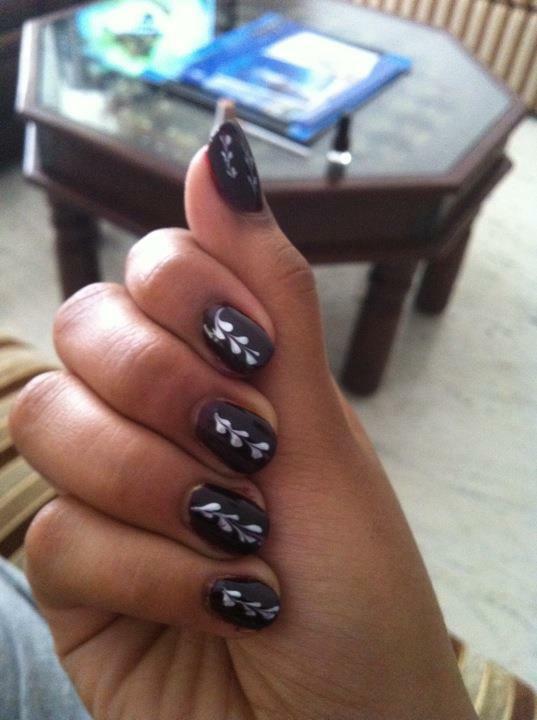 These nails were inspired by a YouTube tutorial she saw. 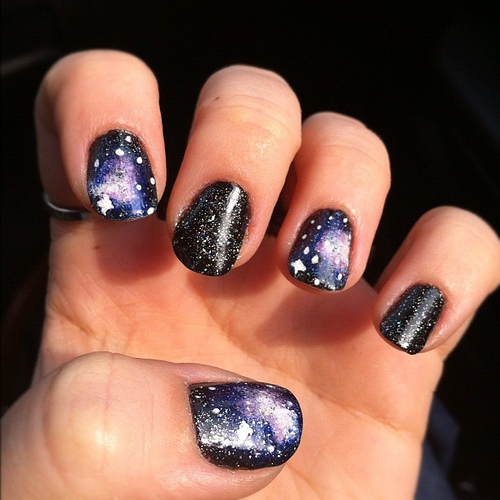 I got this beautiful image of space for my wallpaper, so I thought it would be perfect to try my first galaxy manicure! I grabbed several colors, a makeup sponge, and went to town. I'm so happy with how it turned out. 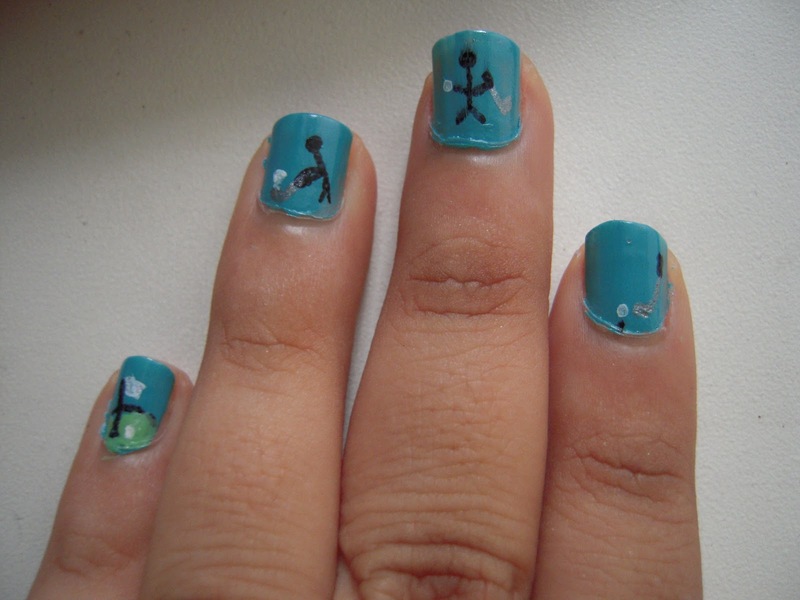 These nails were inspired by golf! This design was inspired by japanese nail art magazines that I recently discovered. I was amazed how different their nail fashion trends are from those in Europe and USA - abstract designs, different for each nail, lots of big rhinestones and 3D decorations. I loved it so much that I immediately decided to create my own interpretation of that funky style! 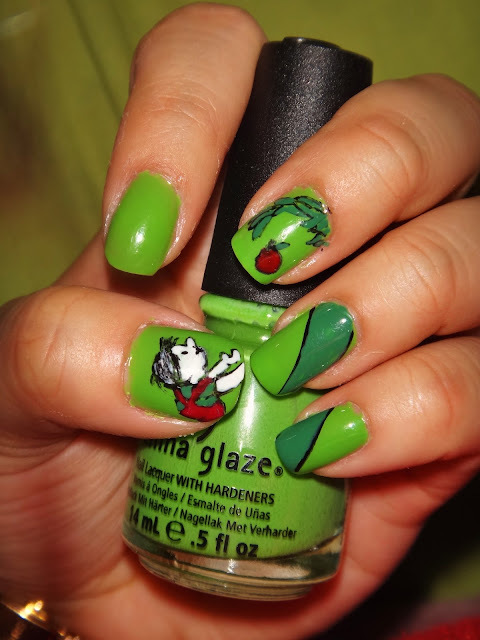 The Giving Tree nails are my favorite! i also liked the sunshine ones too!